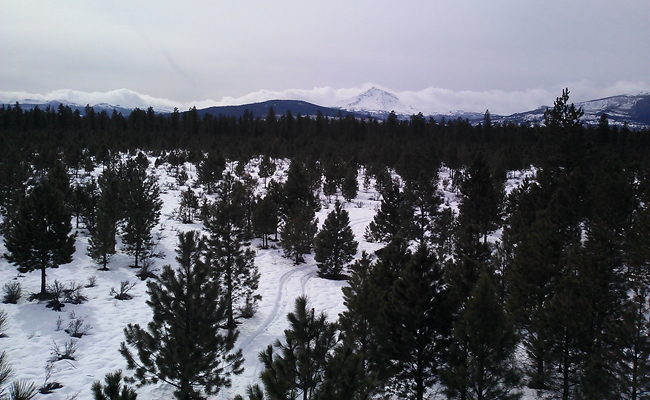 The Metolius Young Pine Burn site was established in 2010 and is part of the Metolius cluster sites with different age and disturbance classes within the AmeriFlux network. It is located on the east side of the Oregon Cascade mountains near the town of Sisters. 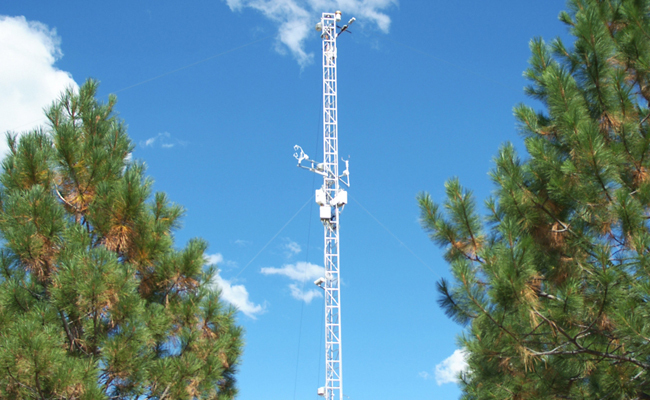 The tower is 18.6 m tall and equipped with a full complement of eddy covariance instrumentation on the vertical profile. The site is also equipped with a horizontal array of instrumentation collecting data on temperature, soil respiration, sapflow, and tree growth, and contributes data to the CO2 concentration project. The site is powered entirely by solar panels. 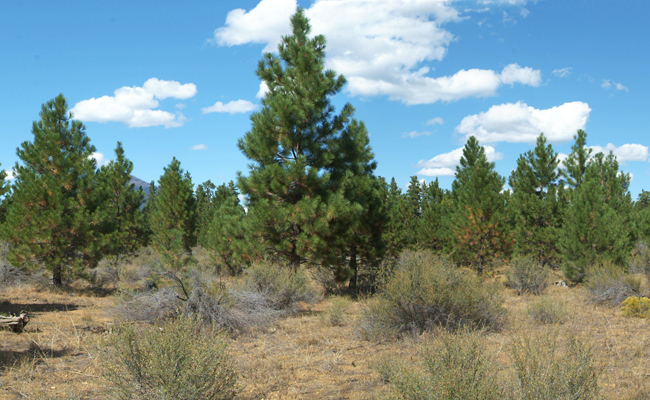 After a severe fire in 1979, the site was salvage logged and was acquired by the US Forest Service and re-forested in 1990. 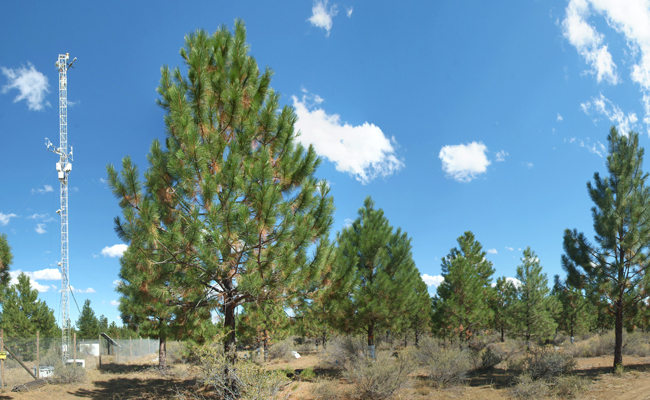 The dominant overstory vegetation are 26-year old (measured 2017) ponderosa pine trees with an average height of 7.0 +/- 1.2 m. The season maximum overstory half-sided LAI was 0.8 m2 m-2 in 2016. Tree density is low, with ca. 207 trees ha-1. Soils are 80% sand/17%silt/3% clay. Cellular modems are used to provide remote connection to the site. Loggers are polled regularly and data files are updated once per hour. The provided data has been downsampled to minimize file size. Data has not been quality checked and periodic outages may occur.